This is as far as I got today. The first dry assembly on the first table. 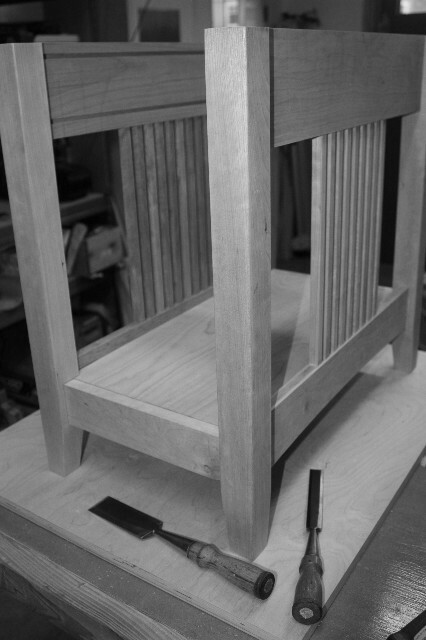 Drawer runners for front still need to be created and installed. My newly sharpened paring chisels made this a fast and easy fitting.